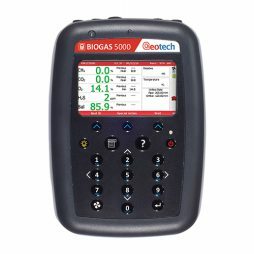 GA5000 is a portable and robust gas analyser designed specially for landfill gas markets or land remediation and control over the critical gases on the landfill perimeter. 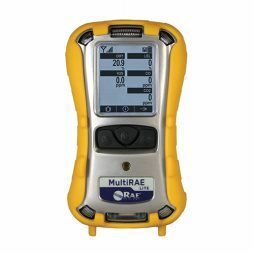 Along with the critical gases (O2, CH4 and CO2), that are measured in percent, GA5000 controls the level of H2S, NH3, H2 and CO. GA5000 is a reliable and longwearing instrument, the manufacturer gives three years of free warranty and provides this product with additional adjustages, free firmware update with comfortable updater tool, and menu and manual in many languages. Maximum quality, precision, and durability. 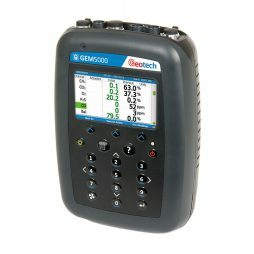 Geotech’s GA5000 has a readable display that show maximum information about measured gases in the field. It does not take your attention to configure and calibrate – all can be done easily and in very little time. 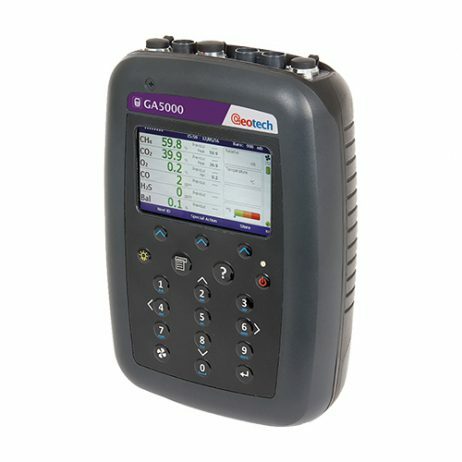 GA5000 makes all analysis itself, you need to set your IDs once, with their order, and then your gas analyzer takes all standardization and monitoring routings.